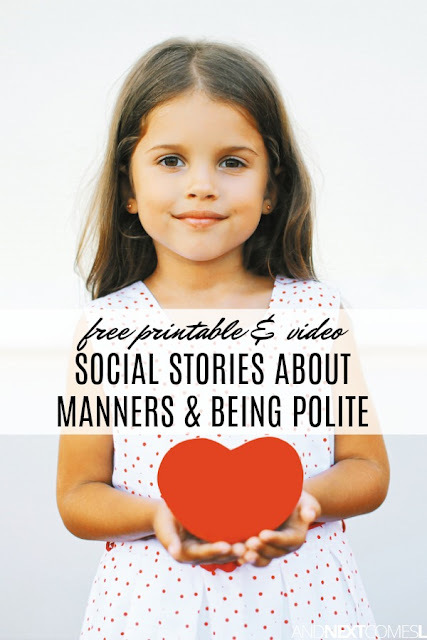 A collection of free social stories about manners including some free printable social stories for saying please and thank you. Three phrases that are a must when it comes to manners and being polite. Phrases that I'm sure were drilled into you as a child and that you already drill into your child as well. If you find yourself currently working on teaching manners and politeness to your child and feel you could use a bit of extra support, then these free printable social stories about manners and politeness will be a great resource for you. They will help teach your child why it's important to be polite and use manners, as well as show them when to use these key phrases. Each one of these social stories below are free. Some include visuals, while others do not. Some of these stories also require you to have a Teachers Pay Teachers account, which is also free. I hope you find these social stories helpful for your child! 1. 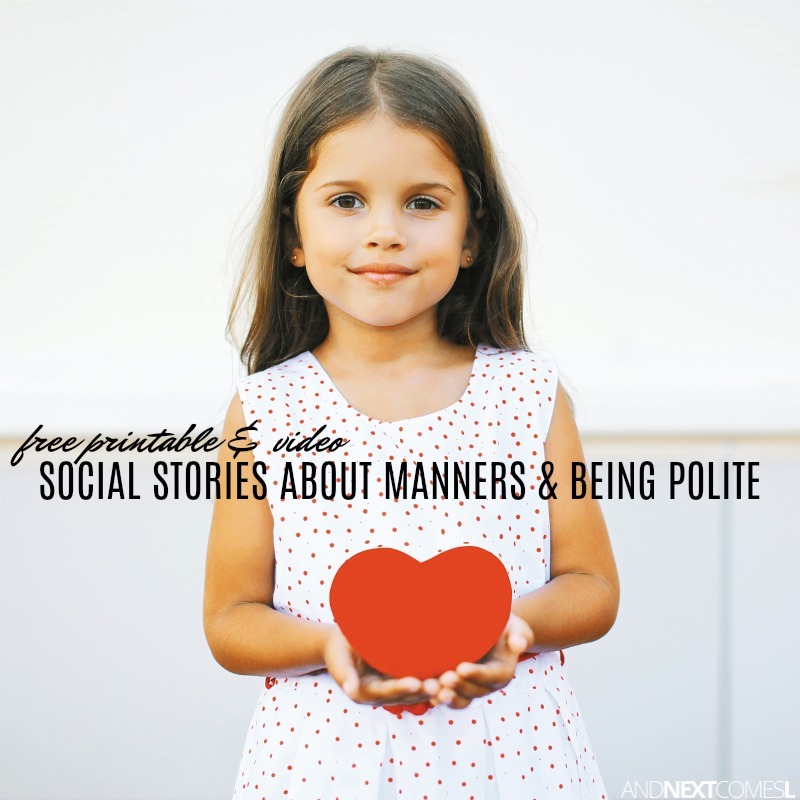 Free Using Our Manners Social Story from Teaching Outside of the Box - Also includes a sorting activity to practice good manners versus bad manners. The following video social stories focus on teaching kids how to be polite and use kind words. One video below also includes some sign language signs, which I think is awesome. I am a huge fan of teaching sign language to babies and toddlers (it was a lifesaver for us when our oldest son was younger! ).